When most people think of hard cider and mead, West Virginia is not typically the first state that comes to mind but Josh Bennett and Will Lewis, owners of Hawk Knob Cider, have set out to change that. Josh and Will met in college at West Virginia University while taking a horticulture class. The two worked on and crafted their beverage line up and Hawk Knob was born. Hawk Knob is not only West Virginia’s first cidery but also West Virginia’s first meadery that specializes in dry meads. 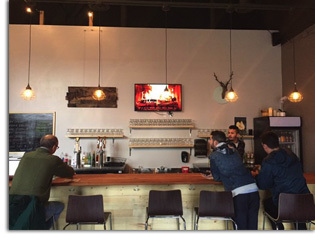 Hawk Knob Cidery opened its doors in December 2015. Currently, Hawk Knob uses only locally sourced West Virginia based ingredients; they have put great effort in making this a priority. Right now Hawk Knob is running on a special farm winery license which requires them to grow at least 25% of their crop to make their cider and they must get at least 50% of their product from a West Virginia farm. 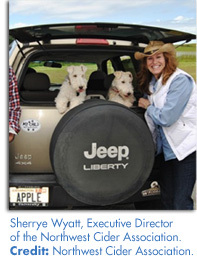 The owners took the guidelines in stride and decided to make their entire product from West Virginia crops. The freshness is evident in their product as is their care for the beverages they craft. The license also limits their distribution methods so they are only self distributing for now with 750ml bottles and 22oz bombers available to purchase locally. 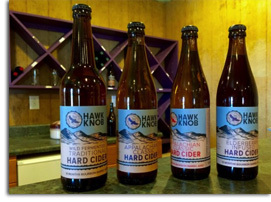 Be sure to check out Hawk Knob Cider online at HawkKnob.com or visit them at 2245 Blue Sulphur Pike, Lewisburg, WV 24901. 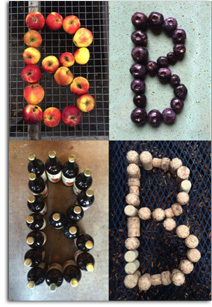 Photo courtesy of Hawk Knob Cider. 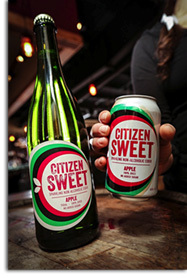 Citizen Cider, the same ones who brought you ciders such as Citizen Dry and the limited release barrel-aged cider have just released a brand new cider, Citizen Sweet! This cider is completely different than anything the company has ever put out before; this cider is totally alcohol free! 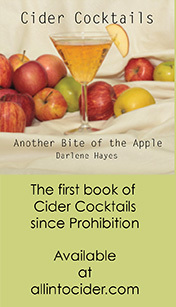 With cider’s soaring popularity and the new rise in health conscious products, Citizen wanted to have an offering for those who enjoy cider but did not want to worry about the alcohol when they visited the tasting room, and the company also wanted to cater to those who would rather drink a natural product over sodas littered with sugar and chemicals. They set out to do just that and created a “soft” cider. Upon looking at many of the soft drinks their children were consuming, Citizen Cider wanted to come up with a healthier option. Using much of the knowledge they gained from years of cider making, they concocted a beverage that not only tasted good but also contained no added sugar. One thing that made Citizen Cider so popular is the fact that they are made using no additives - this includes no additional sugar or sulfites. They wanted to maintain this with the sweet cider but had to overcome the challenge of making sure it did not turn out bitter as it was aiming to replace a soft drink, which are most commonly sweet. They went through many batches until finally creating the perfect formula. The cider they created was one they felt comfortable allowing their children to drink at lunch time because they knew it had been made pure. Citizen Sweet is a sparkling cider made from 100% juice. In an effort to keep their cider all natural, Citizen stood clear of using any sort of concentrate. The cider is freshly pressed using a variety of apples which are also the basis of many of Citizens alcoholic varieties but with more of a focus on the sweeter spectrum. This is a light, crisp, sweet cider which feels refreshing on a warm day or any day where alcohol is not in order; also, for those who prefer it less sweet it can be watered down to taste by adding ice. Citizen now truly has a cider for everyone, especially our designated drivers! 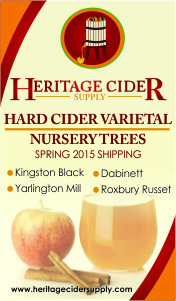 The cider can be found on tap at many local establishments and is also sold in six packs and 750ml bottles. For now the cider is only sold locally using the local Burlington (VT) area as a test market but Citizen is set to ramp up production and distribution as the cider’s response and popularity increases. Check out Citizen Hard Cider at CitizenCider.com or by visit their tasting room at 316 Pine Street, Suite 114, in beautiful Burlington, Vermont. Photo courtesy of Citizen Cider. The Northwest Cider Association, a trade organization that represents more than 70 cider makers throughout British Columbia, Idaho, Montana, Oregon and Washington, recently completed a membership survey to gain regional insight into the nation’s fastest-growing beverage category. The results uncovered a variety of trends relating to cider varieties and distribution, bust most notably, regarding growth. Year over year, the association’s membership has grown from 52 cideries to 70, marking consistent growth since its 31 cidermakers in 2013. The national cider spotlight will focus on the Northwest this February 2-6, when the US Cider Association’s CiderCon visits Portland, Oregon. This cider extravaganza is developed for both cider experts and cider curious, and includes tastings, workshops, after hours events and much more. Visit CiderConference.com for more information. B Corporations voluntarily meet higher standards of transparency, accountability, and performance and, unlike traditional corporations; Certified B Corporations are legally required to consider the impact of their decisions not only on their shareholders, but also on their stakeholders (i.e. employees, suppliers, community, and the environment). B Corp certified can be compared to Fair Trade, LEED or Organic certification, but represents a comprehensive commitment to harness the full power of the business to solve social, environmental and economic problems. Other Washington State Certified B Corporations include Sleeping Lady Resort, Grounds for Change, Culinary Collective and Starvation Alley Farms. Becoming a Certified B Corporation reinforces Finnriver’s mission to “serve the land with cider” through organic agriculture, farmland preservation, renewable energies, habitat restoration, and community outreach, education and celebration. Finnriver is also engaged in innovative, community financing thanks to visionary local investors committed to rural economic revival. Finnriver currently grows an array of organic produce and grains, and also produces a nationally distributed line of farm crafted hard ciders and fruit wines made from organic fruit. Finnriver is in the process of relocating their production facilities and public “cider garden” to a centrally-located 50-acre historic dairy farm at the Chimacum crossroads, and is collaborating with other agricultural entrepreneurs, economic development partners and conservation organizations. Community partners include the Organic Seed Alliance, Essential Blooms, Jefferson Land Trust, North Olympic Salmon Coalition, WSU Sustainable Seed Systems, the PT CoLab and the North Olympic Development Council. The Finnriver Orchard will be a rural gathering place offering fresh, local food and live music, along with educational tours and group events; a working farm growing organic apples, grains and mixed produce; and a food/drink production and processing hub. Finnriver is also working with Power Trip Energy in Port Townsend and received a USDA REAP grant (Rural Energy Assistance Program) to install a large solar energy system at the new facilities. Finnriver’s goal is to establish a model farm and cidery where rural economic development, ecological restoration and organic agriculture can all converge and thrive. Finnriver’s full B Impact Report is availability to the public by clicking here. Learn more about Finnriver by visiting Finnriver.com. Photo courtesy of Finnriver. Now open, Upstate New York’s very first cider bar! This bar located on 1344 University Ave. in Rochester, NY brings a great selection of American and European ciders for its patrons to sample. The bar is about 1,500 square feet and can comfortably seat about 45 customers. With 12 taps and a generous bottle selection of over 100 different ciders, there is something to suit any cider lover’s palette. Besides outstanding hard-to-find ciders, Mullers also provides patrons with food options such as paninis, soups and more with many of the items on the menu allowing for gluten free versions as well. Customers looking for a sweeter bite also have the option of trying Mullers fresh homemade kettle corn as well as its many seasonal flavored varieties. Owners Patrick Jaouen and Sam Conjerti Jr. say one of the most challenging things about opening a cider only bar is finding a way to stock many of the hard to find ciders. The owners had to go through farms, directly to cideries, and seek out more than just their local distributors to stock some of the most rare ciders, but good thing they did because now Mullers sports an impressive and eclectic cider list good enough to please even the most disconcerting palette. Check out Mullers Cider House at MullersCiderHouse.com. Photo courtesy of Patrick Jaouen. A collaboration between A Slice of Humboldt Pie and The Humboldt Cider Company produces the Arcata (CA) cider bar, Bittersweet. Located at 828 I Street in Arcata, CA, the bar had its grand opening in October 2015 and has seen great success. The cider bar has 24 rotating taps with 17 taps dedicated to ciders, 4 dedicated to craft beer, and 3 just for wine. On top of all those taps, the bar also has countless bottles of cider and beer from 12oz. to larger format bottles. A Slice of Humbolt Pie completes the bar by providing delicious sweet and savory pies and other food items. Some of the outstanding pies include Banana Cream, Buttermilk, Apple & Sour Cream, Peanut Butter Fudge, and Chicken Pot Pie. The ample sized bar really gets a chance to shine in warm weather as the roll up doors come up to reveal a full patio for patrons to enjoy. 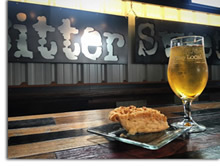 Check out Bittersweet Cider Bar at BittersweetArcata.com. Photo courtesy of Bittersweet. While this cider bar is not technically open yet, they are slated for a February 2016 opening date after being pushed back time after time from its original intended date, about two years prior. The Northman, which will be located at 4337 N. Lincoln in Chicago (IL), is set to be fitted with Chicago’s largest selection of hard cider, with over 100 varieties offered in bottles, cans and draft. There will also be a selection of craft beers and wine along with spirits to make the perfect cider cocktail. The bar is preparing to serve French and English gourmet meals served up by Chef Cleetus Friedman for lunch and dinner, bistro-style. The photo is of the building, previously Jury’s, which will soon bear The Northman name. 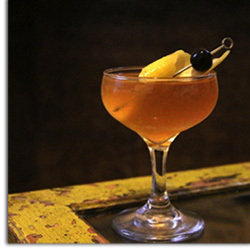 The Northman will take part in Cider Summit Chicago's cider cocktail lounge, with Woodford Reserve, if you are looking for a sneak peek. 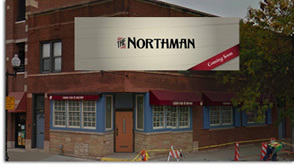 Keep up with all the latest updates on The Northman on Facebook or TheNorthman.com. Woodchuck Hard Cider announced the release of Campfire Pancakes this month, the latest cider to join the ‘Out on a Limb’ series of ciders. 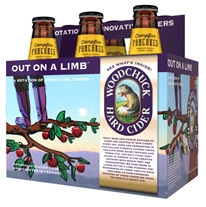 ‘Out on a Limb’ is the company’s rotating six-pack that features some of Woodchuck’s most creative cider varieties. Campfire Pancakes is the company’s seventh installment in the innovative series. Campfire Pancakes brings you Woodchuck’s small batch hard cider with an infusion of smoked apple pomace from Vermont Smoke & Cure. Topped off with a dash of Vermont Maple Syrup straight from the Green Mountains, this cider brings forward a delightfully smoky and sweet taste. The floral cider has strong smoked apples notes and real maple syrup aroma. 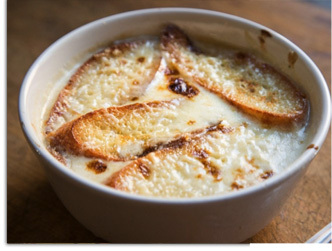 It has a smoky character in taste that is followed by layers of maple. The medium carbonation, light body, dark amber cider that is Campfire Pancakes has an ABV of 5.5% and is available in limited quantities nationwide through April for a suggested retail six-pack price of $10.99. “It was great working with local companies to produce yet another innovative batch of cider that we know our fans will love,” said Cider Maker John Matson. “I kept getting hungry as it was blended and bottled, and the whole cidery smelled like a pancake breakfast,” chimed in fellow Cider Maker Ben E. Calvi. Please visit Woodchuck.com for additional information. Photo courtesy of Woodchuck Hard Cider.